Custom engineered 26ft x 6ft 6 inches Stainless Steel Roof Construction. 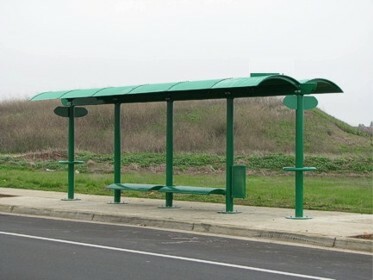 Bus Shelter designs are manufactured and engineered to last with various roofing materials such as Aluminum roof skin, thermoclear twin wall polycarbonate translucent material, Stainless Steel Brush Finish for no maintenance. 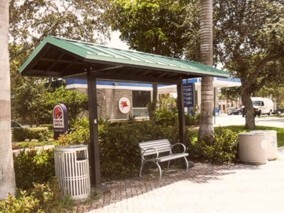 Bus Shelter Roofs are manufacture in Aluminum or Steel. The vertical frames can also be manufactured in all aluminum or steel and the back and sides to protect the patrons from the elements perforated metal, polycarbonate lexan and tempered safety glass. 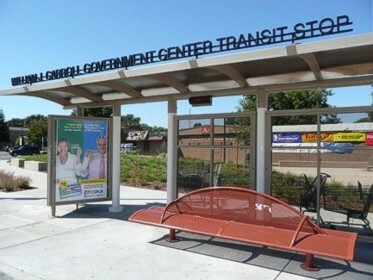 Most bus shelters can be surface mounted depending on the windloads. 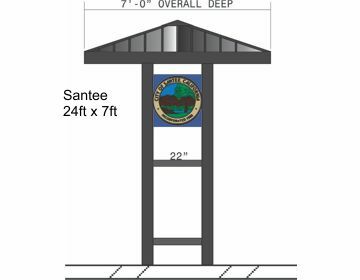 All shelters start at 9 foot long and can be designed up to 30 foot long.